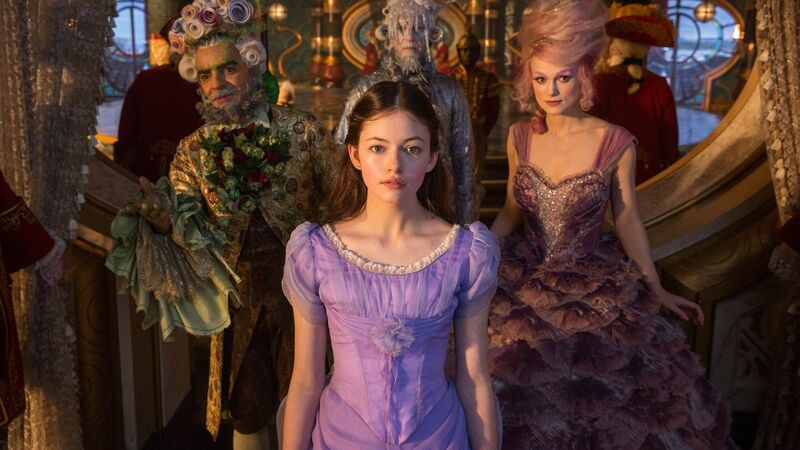 The world that “The Nutcracker and the Four Realms” attempts to create is the same one seen in every fairy tale landscape. There is the brightly colored, visually sumptuous area meant to symbolize goodness. Then there is a dying, decrepit forested area that is shrouded in shadow meant to personify malevolence. I understand this is the easiest route to go, but that never means it’s the best. There is a certain charm from practical effects and real sets that is lost when everything is created with CGI in front of an unflattering green screen. The beauty of Tchaikovsky’s ballet doesn’t just come from the moving music or the mesmerizing choreography, but also the sets that are created in which the world is framed. The ballet tells the vaguest of stories, just giving you the bare bones of a plot while remaining engaging the entire time. 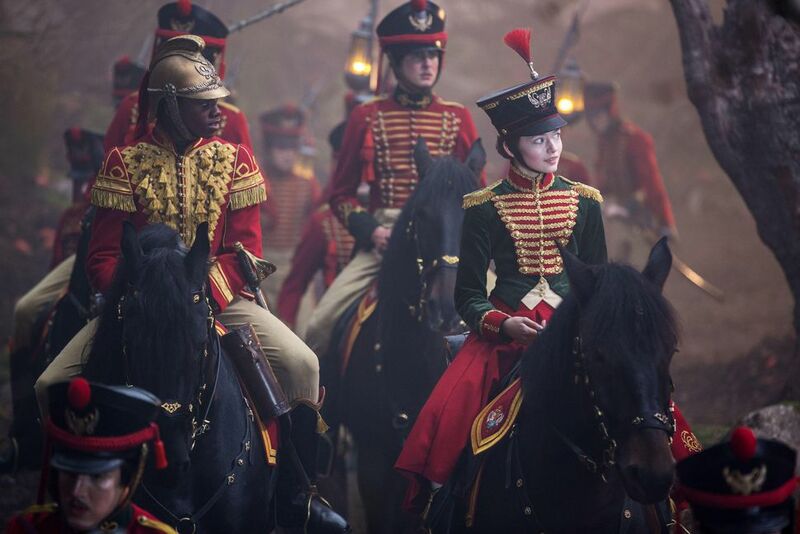 Meanwhile, “The Nutcracker and the Four Realms” is all (ill-crafted) story, but without any depth narratively or visually. Even at under 100 minutes, this film feels much longer than that. The visual elements in the film are just like online dating—there is less wonder involved when it’s done on a computer. Directors Lasse Hallström and Joe Johnston turn the film into a tonal tug of war of sorts. It should have been more aptly called “The Nutcracker and the Four Tones” because the films darts from tone to tone, leaving us dizzy, tone-deaf, and just plain confused. First, we are teased into thinking this is going to be a whimsical, “Narnia”-esque adventure, but then it turns into a horror show complete with a nightmarish rat king. That is then followed up by a “Wizard of Oz”-style exploration of the kingdom, complete with picking up new friends along the way. We are then treated to several scenes of ballet, which become the very best parts of the film, and should maybe have comprised the entire film altogether. At one point, it gets taken a little too far as they essentially recreate a scene from “Fantasia” where the orchestra is illuminated by a technicolor light show. All of that ends up being murder on the pacing, which matches the inconsistency of everything else in the film. Aside from the few ballet sequences in the film, the only really enjoyable parts come in the form of the costume design and set concepts. As an homage to the Russian roots of this ballet, the film is filled with influences, from the design of buildings all the way to the soldier’s uniforms and some character designs (like the Russian nesting doll goons). The only costumes that were exempt from this were for the leaders of each realm, all of which had magnificently ornate outfits that embodied their realm perfectly. This is the sort of attention to detail I wish was placed throughout the entire film.